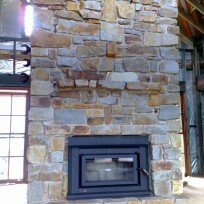 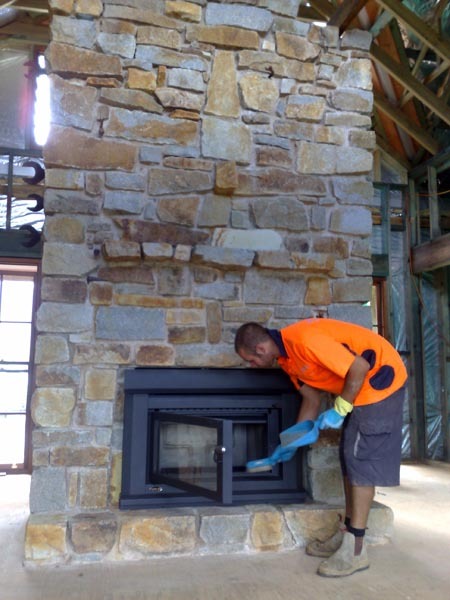 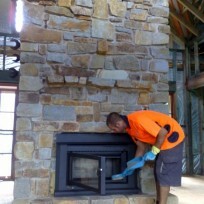 This is a stone fireplace built with granite, eight meters tall. 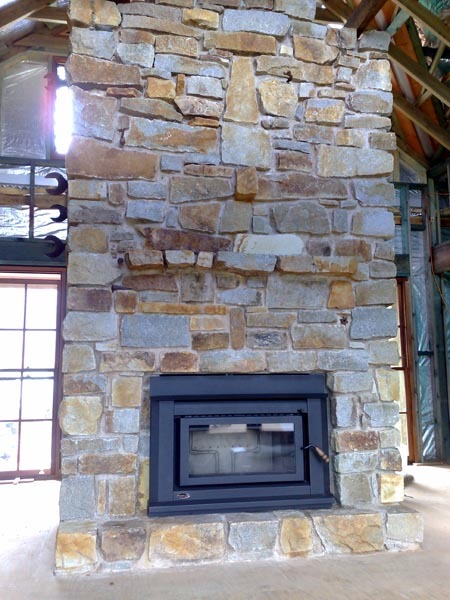 Centrally located in a large living space, the fireplace can be viewed from all four sides. 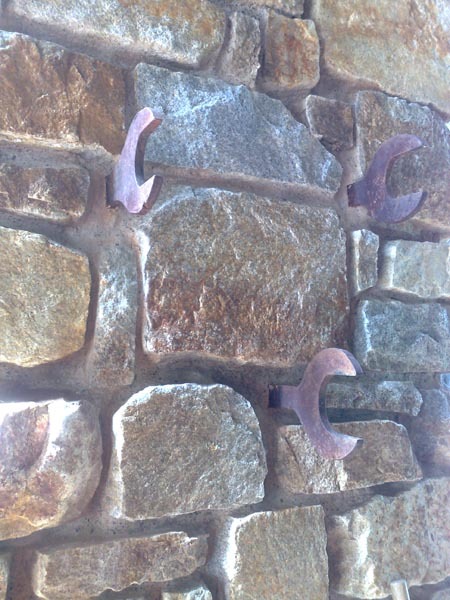 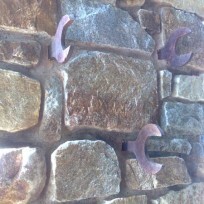 The owner had collected objects from the rural property that were strategically located throughout the stonework.